The Parish Pastoral Council is a consultative body to the pastor and represents a cross section of the parish. PPC is kept abreast of the activities of the Parish and its operations. Together with the Pastor, the PPC helps to craft and carry out the Mission of the Parish. We also research the needs of the parish and work with Parish leaders to evaluate and improve our quality of life as a faith community. Individuals interested in joining the Parish Council should demonstrate a genuine concern for the growth and well being of our Parish. They must also be willing to openly express ideas and exhibit a commitment for participation during their tenure. Parish Council members meet to discuss current activities at St. Teresa’s and, as a collective group, exchange ideas and make decisions about maintaining and improving our parish and fostering its growth. Determines ways to enhance communication. Plans for St. Teresa’s Parish Sharing effort. 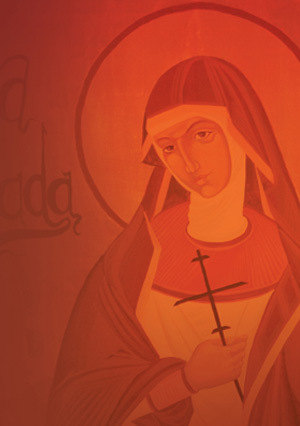 Develops initiatives it deems appropriate to carry out St. Teresa’s Mission and to fulfill the needs of the Parish. Assesses the many activities of our Parish Commissions (Spiritual Life; Education; Parish Life; Human Concerns) and its ministries. Parish Council members each serve a three-year term on the Council. September marks the start of each term. PPC meets once monthly (except July and August), normally on the second Monday of every month from 7PM until 9PM in the Parish Center. In addition, depending on events or issues facing the parish, PPC members may serve on Council sub-committees, whose meeting times vary depending on the initiative or project. If you are interested in joining the Parish Council, please contact the Parish Office at (773) 528-6650.